A datacentre is a facility that centralises an organisation’s IT operations and equipment; storing, managing and disseminating data. For the NHS, optimising and monitoring your on-premise datacentre is essential to ensuring key services and applications are available and efficient 24 hours a day. If your NHS organisation requires a new or upgraded datacenter, BDS Solutions can provide enterprise grade datacentre services. These services include capacity management, dynamic data storage performance and identifying and implementing the necessary processing requirements. In addition, we provide VMware vRealize monitoring services, individual server health-checks and full vSphere health-checks, all delivered via our HSCN-connected Service Desk. In recent years, many NHS organisations are moving towards a cloud based virtual datacenter. 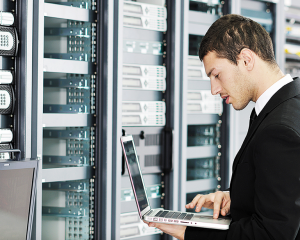 BDS Solutions consultants have extensive experience and expertise in designing and implementing both physical and virtual datacenters. BDS Solutions can help to evaluate, design and migrate resources to private and public cloud based datacentres. Working in partnership with leading N3-connected hosting providers, we can facilitate network and server sizing, design, planning and migration to your cloud solution. For further information please contact us or use the panel opposite and we will call you back shortly.